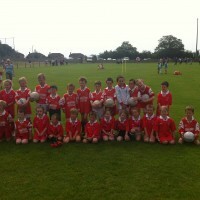 Well done to our u8 & u6 boys and girls who played very well in their football matches in Gorey last Saturday. The boys & girls have matches every Saturday and are really putting in a huge effort at both hurling & football. Thanks to all the parents for bringing the children to their matches every weekend . Well done to all. 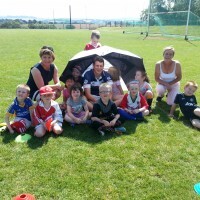 Monageer Boolavogue GAA club held a Cúl Camp week from 21st to 25th July. Over one hundred children attended the sporting camp. During the week the children met with players from the County Wexford teams. Don’t forget to check out the gallery for pictures of an enjoyable week. Many thanks to all involved. Any player who did not receive their kit will do so when they are delivered to the club. Don’t forget to check the website for further postings. There was one winner of this weeks Lotto. The U16 Camogie team will play a 12 aside championship match against Oylegate in the Monageer GAA pitch on Wednesday 16th July at 7:30pm. There was no winner of this weeks lotto. The numbers drawn were 2,14,23,and 25. Next draw 22nd July 2014 in the New Clubhouse at 9 pm. Our third team are out in the Championship on Thursday, 10th July at 7.30 pm in Monageer. All support would be appreciated. Our third team are in the league final against Craanford on Sunday evening at 7.30pm in St. Patrick’s Park. All support would be greatly appreciated. Our Junior B hurlers took on Duffry Rovers tonight Thursday 3rd July in Coolree and came away winners on a scoreline of 2 9 to 10 points. 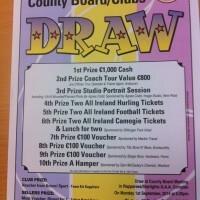 We are asking the members of Monageer Boolavogue Camogie Club to support the upcoming draw to raise money for Wexford Camogie County Board. The proceeds of the sale of these tickets will also benefit the local Camogie Club, so we would appreciate if you would make an effort to sell these tickets to family and friends. any questions please contact Antoinette Murphy at 087 7652481 or Larry Dunne at 086 0820148.